The source of the following dossiers is a mystery, and it is uncertain whether you should actually even trust the information contained herein. After all, in these dark times, rumors fly like a murder of crows. Still, even the slightest knowledge of who’s who could be just the edge you need to survive the curse. Read on, brave monster hunter. 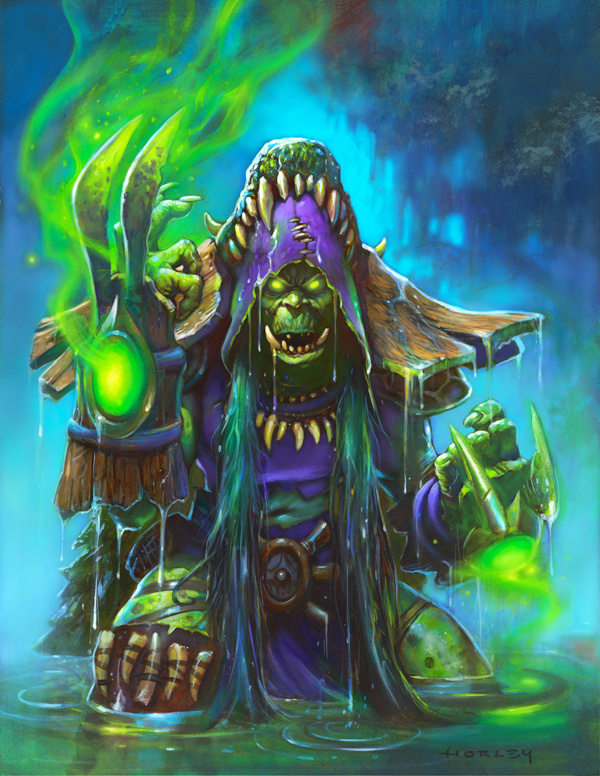 We do not know much about Hagatha’s true nature. Is she indeed the source of the curse, as rumored? Or is she merely another one of its victims? Was she a survivor of some great battle who dragged herself deep into the forest and fell prey to dark magic? A wicked manifestation of the forest’s anger, furious with intruders and despoilers? An unusually skilled shaman, whose ambition and desire for vengeance have outstripped all good sense? Somewhere, on the bank of a dank and deadly swamp in the depths of the forest, she waits. When she speaks, every malignant thing in the woods bends an ear to listen. When she breathes, coils of glowing mist drift between tangled branches, and restless spirits wake from timeless slumber. When she rages, gnarled trees with jagged grins uproot themselves, and whole hillsides rise to lumber into the night. When she dreams, the people of Gilneas have recurring nightmares of a great serpent that threatens to devour the moon. In her despair, the vile and bizarre Shudderwock stalks the land. She is terrifying, but she isn’t a mindless force of nature, nor is she all-powerful. She is lucid, cunning, and plotting. 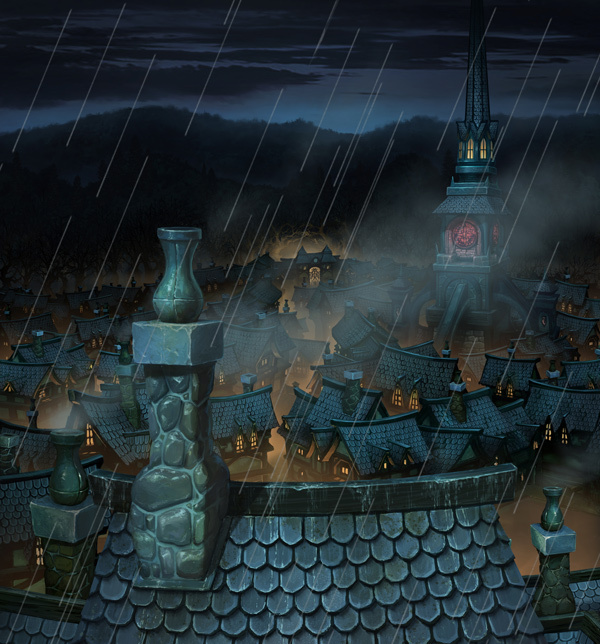 We do not know why she hates this city and its people, nor whether she really even does—Gilneas may be just an obstacle to a larger goal. Whatever Hagatha’s ultimate motive, the curse is already closing its shadowy claws around the city, and she will not stop until it is lost to the Witchwood. Hobbies: Formerly: Hubris, Poor foreign policy, Vengeance (against Sylvanas the Banshee Queen). Current: Sovereignty, Fatherhood, Craft cocktails. We dare not approach the king too closely, but this is what we know. 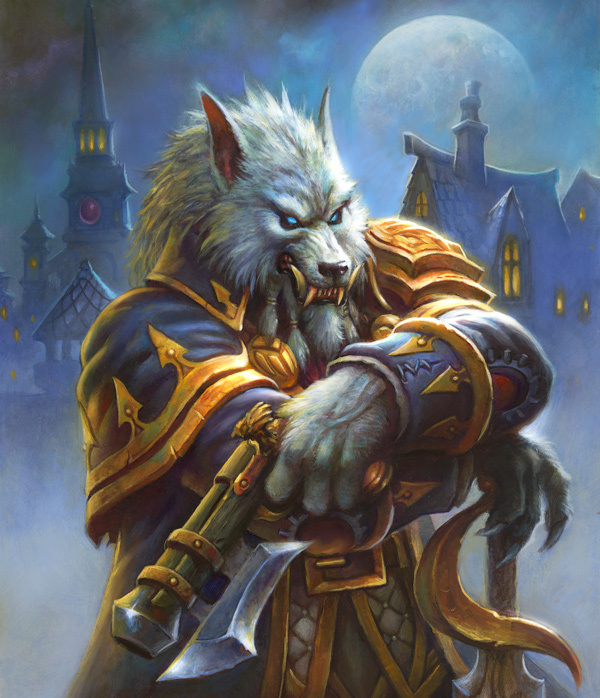 Genn Greymane is King of Gilneas (the country and the city). His arrogance, stubbornness, and overconfidence once led Gilneas down a path of isolationism that brought it to the brink of destruction. Had he not learned to be a better ruler since those days, the city might already be lost. In the days since the curse began afflicting the wood, he has worked tirelessly in the service of his city. He is often confined to his study, working into the wee hours by gaslight, night after night. The constant flow of reports emerging from the city allow him no rest: disappearances in the wood, horrifying shapes with glowing eyes stalking the city streets, and an endless array of ever stranger and more disturbing phenomena. There are even rumors that citizens have turned to a doomsaying “Crowskin” cult that operates in shadowy back rooms and cellars. The normally tough-minded people of Gilneas are gripped with fear, suspicion, and superstition, but King Greymane has an iron will, and he expects the same of his subjects. His response has been to crack down, demanding absolute discipline and dedication. He’s tasked one of his finest thieftakers with investigating the cult, a man named Shaw. That’s not all: the Worgen King is currently recruiting the best monster hunters in Gilneas for a sortie into the forest. No subtlety here: he intends to confront the threat head-on and howling. Princess Tess Greymane is heir to the throne of Gilneas, and by all accounts a woman of extraordinary skill and razor wit. Tess combines her father’s iron will with a subtlety and deftness he’s always lacked. She’s well renowned for cleverly using her enemies’ best tricks against them, and she’d make a powerful Queen—though she seems to have little interest in matters of state. In fact, she spends an unusual amount of time around low-born thieves, rogues, and rapscallions. Lately her behavior has been most concerning. The Princess has been seen haunting—figuratively, as she’s not dead . . . yet—the lonely, rocky shorelines of Gilneas. As the fog rolls in off the sea, she confronts eerie visitors: spectral buccaneers from the depths, whose unquiet spirits rise from the icy gray surf. Even those who know how very formidable the Princess can be fear for her safety during these nightly sojourns. These spirits seem less spectral and more solid with each passing night. She may need to abandon her pet project soon, in any event. The hunters entering the Witchwood will have need of her skills. 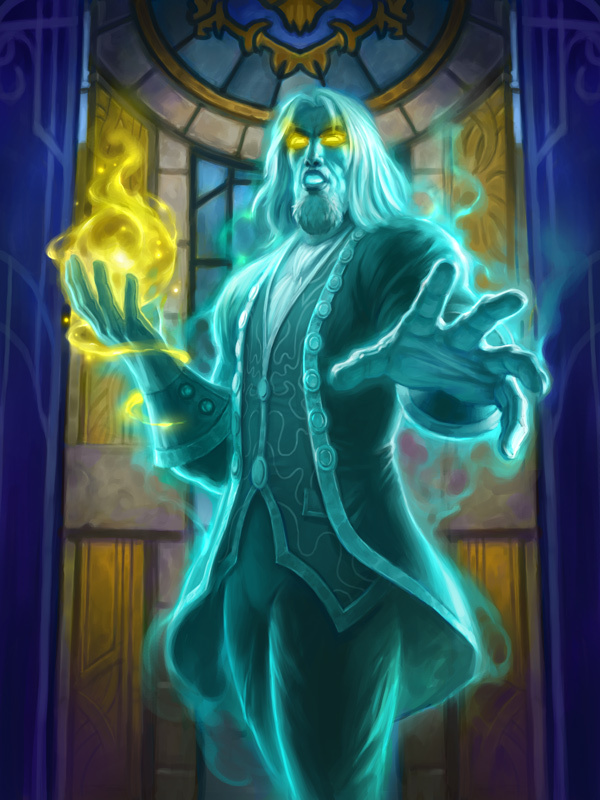 Prince Liam’s devotion to his father and people was unceasing before he fell in defense of Gilneas. That was long ago—long before the curse. Recently, sightings of the Prince’s ghost have been reported. Rumors among the peasantry seem to imply that Liam’s spirit appears to people who are in great danger, and helps them do extraordinary, unbelievable things. Perhaps the Prince feels that he failed his people once, and a desire to do better keeps him fettered to this mortal plane. Perhaps the curse denies him his eternal rest. Whatever the case, Prince Liam is not done serving Gilneas. The Countess is an enigma. 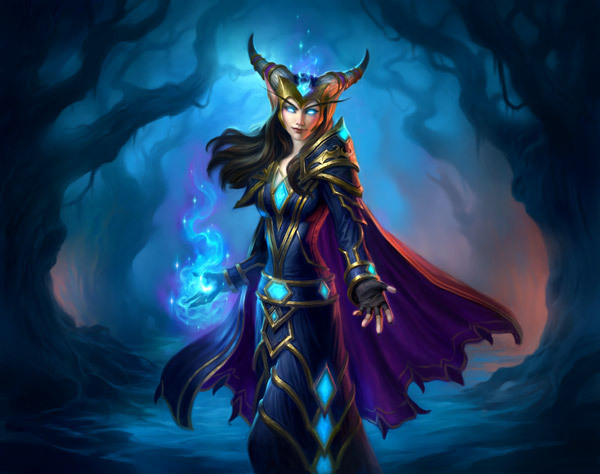 No one in Gilneas seems to have heard of her noble line prior to the Witchwood curse, but suddenly, the records show an Ashmore family tree stretching all the way back to pre-Alliance days, written in a hand none of the royal scribes recognize. 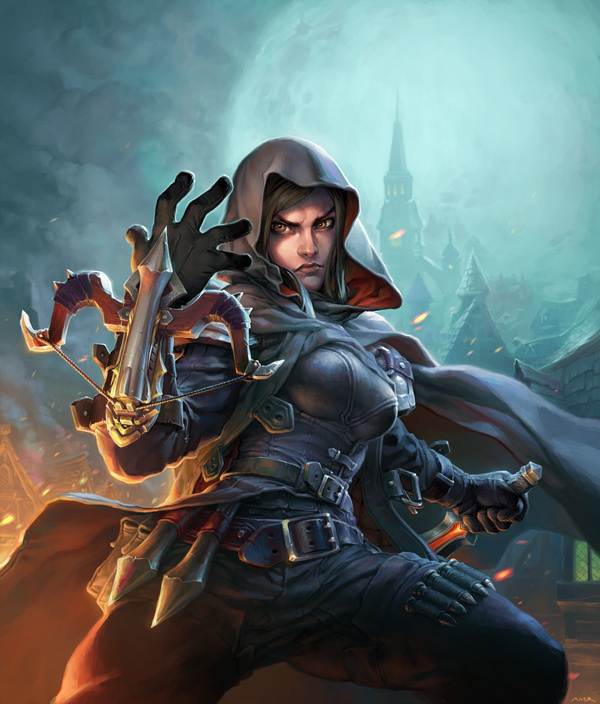 She’s taken up residence in an old manor that’s been abandoned since before the first battle of Gilneas, but while some claim that many voices can be heard emerging from the old estate, she’s the only one who’s been seen entering or leaving. Rumor has it that she’s researching the curse, and she’s been seen asking questions of those who claim to have witnessed dragons in the wood. Is she truly the scion of a forgotten noble family returned home in a time of great need? Or something much more dangerous?